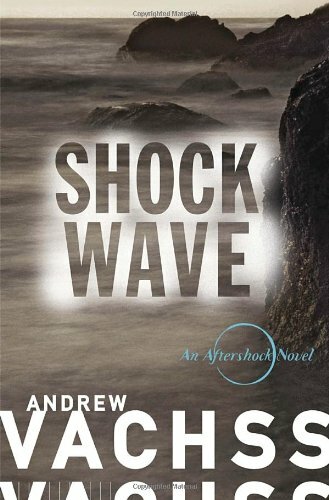 In Shock Wave, author Andrew Vachss spends the first 36 pages of this story dragging the reader through a stream of consciousness that is difficult to wrap one’s mind around. The remainder of the book delivers much the same, although smatterings of the story appear in snippets. The jacket blurb promises an interesting mystery of a body washing up on shore, as the hero Dell and his wife Dolly become involved when a derelict, Homer, is picked up and charged with the crime. But even after the first 36 pages, picking this (promised) story out of sometimes confusing hodgepodge of backstory is a challenge to even the writer or reader who is most open to experimental writing. At times, the dialogue does not prove true to its goal to move the story forward. It does, however, go the distance in developing Dell’s character as an ex-mercenary. Vachss’ prose is well written, just difficult to follow. Vachss’ use of the first person point of view gives a sense of immediacy to the story and is well delivered. To his credit, he conveys this voice throughout the entire story and does not jump from character to character. This book is not for everyone but for the reader who enjoys finding the mystery in the mystery, it might be enjoyed.